A big part of the appeal of digital signage for GM is the ability to control the content on TV sets in customer waiting areas. TV sets are always on during business hours, and the content is always controlled. General Motors plans to make digital signage part of its dealership facility requirements for the first time, starting next year. 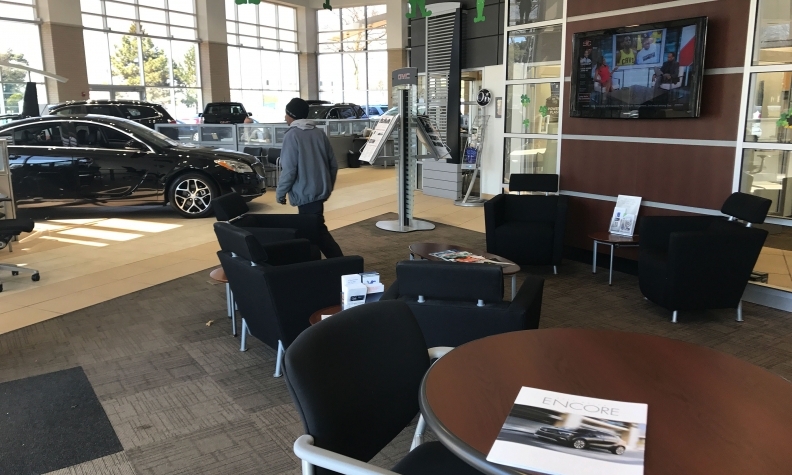 The digital signage requirement, part of what GM calls essential brand elements at Chevrolet, GMC and Buick stores, will include advertising on video screens in dealer showrooms and controlled content for in-dealership TV sets in customer waiting areas. Cadillac has a separate digital signage program, GM says. 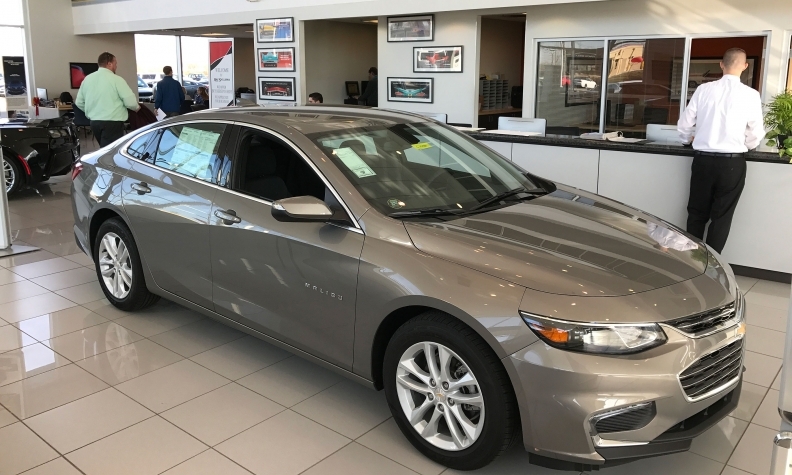 The program is designed to give GM brands and dealers a more dynamic digital tool and flexibility to tailor specific marketing messages and services to customers and the public. The content can be created and distributed locally, regionally or nationally. 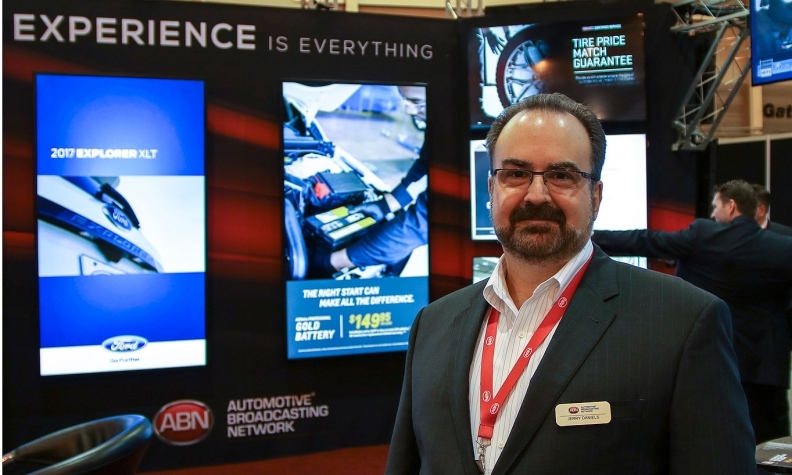 "Someday, all dealers will have digital signage," says Jerry Daniels, CEO of Automotive Broadcasting Network, at the company's 2017 NADA booth in January. "It's taking a bit longer than we expected." GM is requiring U.S. dealerships to undergo an assessment this year to see what each store needs in the way of digital signage, according to spokesman Jim Cain. “The expectation is dealerships will complete consultations this year and install signage next year,” he said. The company planned to make a website available starting Thursday for dealers to review and select a vendor for digital signage. GM, which started the year with 4,219 U.S. dealerships, recently certified three vendors to take part in the program. They are Automotive Broadcasting Network of Jacksonville, Fla.; DCI-Artform, which has offices in Milwaukee and Detroit; and Southfield, Mich.-based Bluewater Technologies. The cost per store will vary with the number and size of individual screens and the dealership layout. Daniels wouldn't disclose specific pricing for the GM program. Last year, an ABN spokeswoman said most dealers who used the service spent $2,000 to $3,000 per month for a 36-month subscription, with an average number of screens per dealership of about 9.5. A big part of the appeal of digital signage is the ability to control the content on TV sets in customer waiting areas. TV sets are always on during business hours, and the content is always controlled. First and foremost that means no ads for competing brands or competing dealerships. The host dealership can insert its own messages, promotions and advertising, and so can the brand or automaker. In between those messages, in the case of Automotive Broadcasting Network, the vendor gets television programming from the CBS Network. GM is requiring U.S. dealerships to undergo an assessment this year to see what each store needs in the way of digital signage. The GM program is a big step toward taking digital signage mainstream, Daniels said in an interview at the National Automobile Dealers Association convention in New Orleans earlier this year. Several of GM’s competitors don’t require digital signage, but digital signage is increasingly common. Nissan North America made digital signage part of its corporate design for U.S. Nissan and Infiniti dealerships two years ago, said spokeswoman Jeannie Whited. The company increased those requirements last year in an update to the standards, called Nissan Retail Environment Design Initiative, or NREDI 2.0 for short, she said. Spokesman Ralph Kisiel said FCA US has no requirement for digital signage in dealerships. Neither does Ford Motor Co., said spokeswoman Sara Tatchio. She said Ford recommends digital signage as part of an “interior refresh” program for dealerships, but does not mandate it. Aaron Fowles, a spokesman for Toyota Motor North America Inc., said the Toyota and Lexus divisions do not require digital signage. But Lexus has an optional program called Lexus TV, Fowles said, where the company creates and delivers digital content for dealers who opt in.